Spray onto closed eyelid. Why not get a second bottle for the handbag or the office? You won’t find a dry eye treatment that’s simpler to use than the Eye Logic ™ liposomal eye spray. 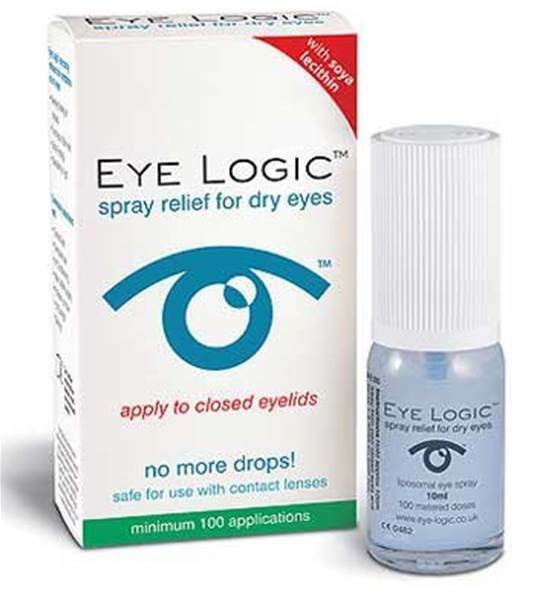 Eye Logic ™ eye spray is simply sprayed onto the CLOSED eyelid – which makes it particularly ideal for all of you who find drops inconvenient or uncomfortable. And don’t worry if you are wearing makeup. So long as you hold the spray a little further away than usual from the closed eye, then it won’t make your makeup run. Allergen Information: Soya lecithin. If you are hypersensitive to phenoxyethanol, then it is advised that you do not use Eye Logic ™ eye spray.